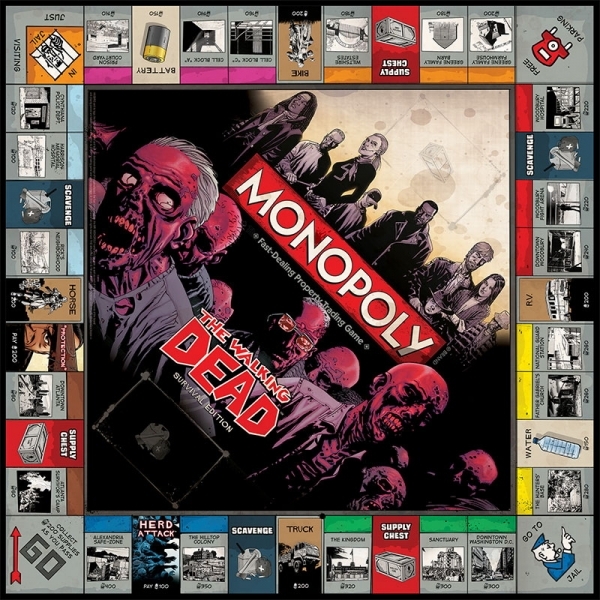 Swap out Old Kent Road for a zombie-ridden down town Atlanta, where you no longer simply buy property – you fortify the hell out of it (with houses as walls and hotels as guard towers). 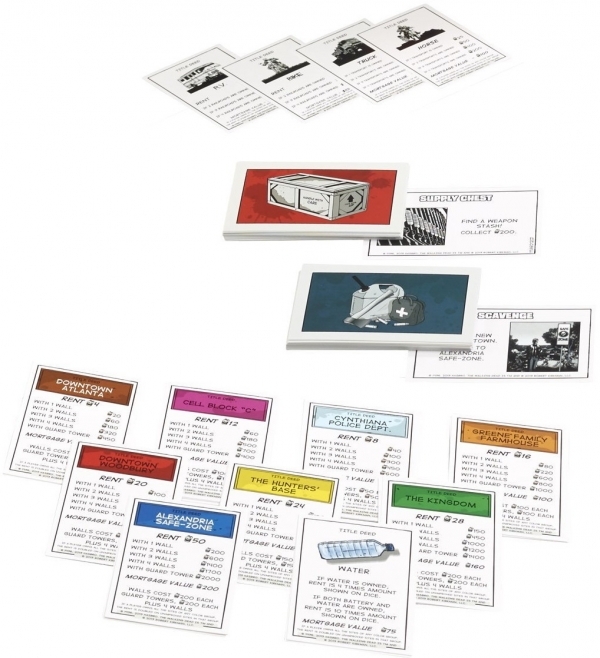 All the wheeling and dealing of the original game remains, but any form of currency is about as useless as Monopoly money in this wretched environment. So you now negotiate with firearms, ammunition, first aid kits, whatever resources you can muster to survive. The dog, the shoe, the top hat. All gone. Sadly destroyed in the early days of the outbreak. 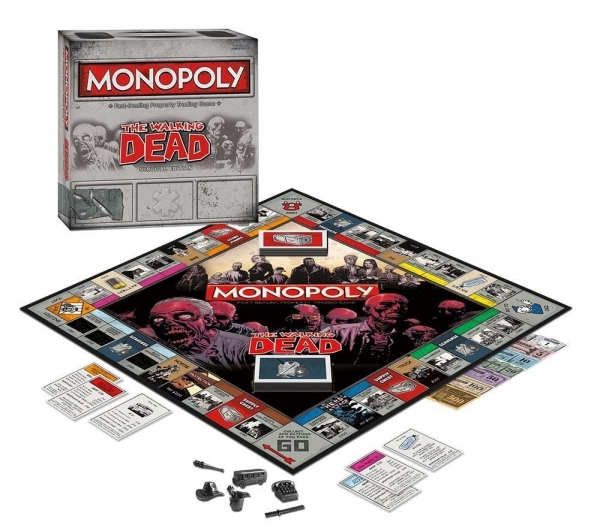 These standard Monopoly pieces have been given a unique twist to fit the world of Robert Kirkman’s gory graphic novel. With a katana, a bucketful of human giblets and 'Lucille' (a baseball bat exquisitely wrapped in barbed wire) all making an appearance.